Real Hardwood that Can Take Life's Messes: Repel Hardwood from Shaw Floors You love real hardwood floors, but can they stand up all the spontaneous messes that real life brings? 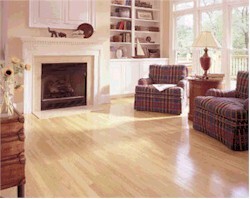 With Repel from Shaw Floors, the answer is YES! Check out this gorgeous collection of water-resistant hardwood flooring. How to Install Engineered Hardwood – Nail Down Method Getting ready to install engineered hardwood? There are three ways to do it, and the nail down method that you'll see in this video is great for wood subfloors. Watch and learn the secrets to a successful installation so you can enjoy your beautiful hardwood floor for years to come.